Joining Bart this month are Gaz from the My Mac Podcast, Victor Cajiao, and Lynda Gousha. 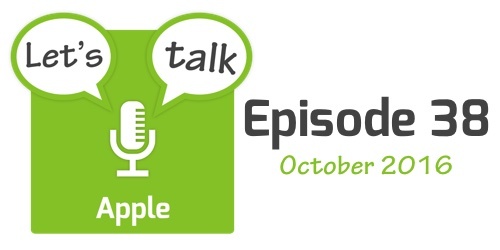 The show starts with a quick look at some Apple-related statistics and legal stories which broke in October. The five main stories are the death of the Samsung Galaxy Note 7, Apple’s lawsuit against an Amazon reseller for selling dangerous counterfeit chargers, Microsoft’s new Surface products, Apple’s Q4 2016 earnings call, and the ‘hello again’ Apple event. The show finishes with a quick rundown of some other shorter stories that made the news in October.